The rain broke it apart again. First the gaps were tiny and then it seemed to dissolve from within before it was all gone. 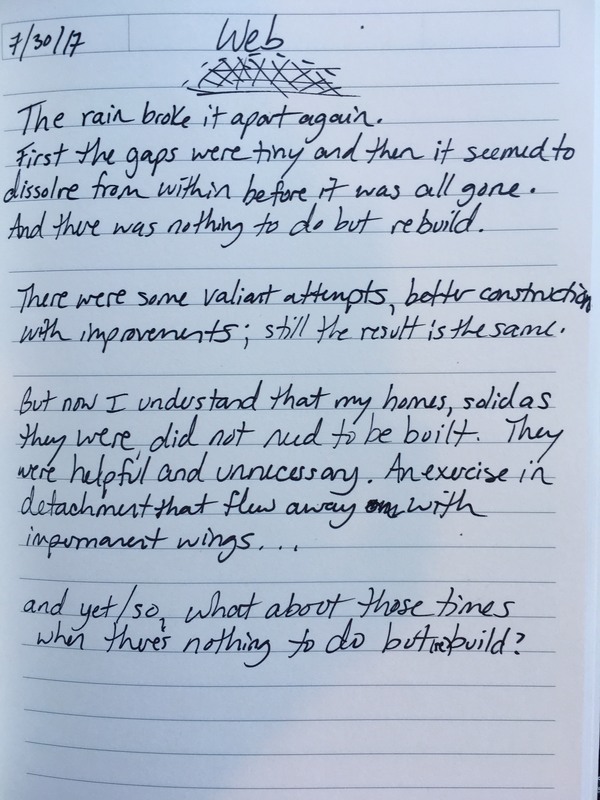 And there was nothing to do but rebuild. There were some valiant attempts, better construction with improvements; still the result is the same. so what about those times when there’s nothing to do but rebuild? ~ by lindseywhitemusic on July 31, 2017.